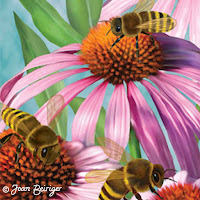 Joan Beiriger's Blog: Art Licensing: Is Adobe holding Artists Hostage with Creative Cloud? Art Licensing: Is Adobe holding Artists Hostage with Creative Cloud? • "Adobe's Creative Cloud Move Causes Outcry And Confusion"
• "Adobe's Creative Cloud Sparks Thunderous Revolt"
• "Dislike Adobe's Creative Cloud subscriptions? Tough beans"
Because Adobe Photoshop and Illustrator are considered the standard software used in the art licensing industry, this has a HUGE impact on artists that license their art. The yearly cost of the subscription membership is much greater than periodically upgrading existing software applications. Artists that use the software to only manipulate scanned images of their work in Photoshop can get along fine with older versions. The problem will be later when computer operating systems are updated and possibly no longer recognize the old CS6 version. But, artists that create art digitally have a decision to make because they depend on robust software. Should they use CS6 applications and no longer get updates that could enhance their art and speed up their work flow OR pay the subscription fee for CC membership? Below are some facts to help them make that decision. Note: If you plan to subscribe to CC and already own CS software you need to decide soon because Adobe has a reduced first year membership price that ends shortly. 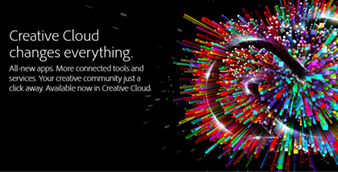 Adobe Creative Cloud (CC) is a subscription membership plan to use Adobe's creative software. It may be paid month-to-month or individuals can commit to a yearly membership at a savings. There are several levels and different pricing structures available. See the below section on "Creative Cloud United States Membership Price". There are many misconceptions on how a person uses the software after subscribing to CC. Below are a few but read "5 Myths About Adobe Creative Cloud" to learn more about CC. Also listen to the podcast with Adobe Senior Product Marketing Manager Terry Hemphill and children’s market illustrators Norman Grock and Wilson Williams, Jr. on "Once Upon a Sketch Podcast Episode 5 – Conversation with Adobe about Creative Cloud". • Myth 1 - Operating the applications (Photoshop, Illustrator etc) is done on the internet and you must be connected to the internet to create files. Truth: Cloud is really a misnomer because applications are downloaded onto a computer from CC and the computer does not have to be connected to the internet for the individual to create images. • Myth 2 - File must be stored on the internet. Truth: Files do not need to be stored on CC. It is an option. • Myth 3 - You cannot access your files once you leave Creative Cloud. Truth: Files belong to the individual BUT the individual will not have access to CC applications and cannot edit the files with CC if she/he quits their CC membership. However, files can be edited in owned Creative Suite (CS) applications IF they were saved in a compatible format with the caveat that any CC tools and functions not available in CS will not be useable. • You do not need to be connected to the internet to use the applications because they are downloaded from the CC website. • You can use all CC applications if you subscribe to the annual membership plan. The membership subscription plan could be cost efficient if you use many Adobe applications. • You can use all edge tools and services for web designers and developers. • You can use all online services for file sharing, collaborating, publishing apps and websites. • You can store 20GB of files (for most plans) that can be shared with clients and colleagues. • There is no waiting for software updates. • You must pay subscription membership fees to use software. • There is no guarantee that the membership fee will not be raised substantially after the first year. • You do not own the software so if you stop subscribing to CC you will no longer be able to edit the files unless they were saved in a compatible format for CS versions. Note: A possible problem could be in converting CC files to JPEG formats if you are no longer a CC member. In other words, if the file is saved in a Photoshop CC format can it be converted to another format such as JPEG if you no long have access to Photoshop CC? • Any images using new features and tools in applications that are updated in CC will require the user to continue using CC so that they can edit the images. That means an individual is forced to continue using CC regardless of membership price. • You must confirm membership via internet every 30 days for month-to-month membership and every 99 days for annual membership. If you do not confirm, the CC applications on your computer stops working. • If you need to use the software on more than two computers, you need to subscribe to additional memberships (same policy as for CS applications). The same applications can be put on two Macs, two PCs, or one of each. • You must purchase separately all Adobe Touch Apps (Photoshop Touch, Kuler for iPhone, Ideas, Behance for iPhone, Creative Portfolio for iPhone). Annual membership for US individuals are billed monthly for most popular desktop applications. Click here to see what applications is included. Note: The price is locked-in for an annual membership. The member is obligated to paying 50% of the remaining annual fee if she/he decides to quit the subscription before it ends. The price of the subscription for a month-to-month member is not locked in. To find out if CC is available in other countries, look under Purchasing and availability section in "Adobe Creative Cloud / FAQ". • Other month-to-month plans are available but you need to contact Adobe to find out the price. Click here for more information about membership plans. If you do not want to be held hostage to Adobe's Creative Cloud subscription plan, you only have the two choices. Continue using Adobe CS6 or older versions of Adobe software OR start using software from other companies. Alternative software may not have all the bells and whistles but they will do the job. On top of that many are free and most are much less expensive than Adobe. Below is a list of articles that discuss alternative software. • "How to build your own Adobe Creative Suite with cheaper Mac app alternatives"
• "What are good alternatives to adobe software"
• "10 Photoshop Alternatives That Are Totally Free - Gizmodo"
• "10+ Best Free or Open Source Photoshop Alternative Software"
• "Is there an alternative to Illustrator? Here's 5 . . ."
• "10 Best Alternatives to Adobe Illustrator"
If you object to Adobe holding artists hostage and you want to voice your opinion, sign a petition on change.org for "Adobe Systems Incorporated: Eliminate the mandatory "creative cloud" subscription model." ( http://chn.ge/12xLnTE ) Over 36,000 people have sign it. They need 13,000 more signatures! Thanks Debra Valencia for sharing this link. I have opted to NOT signup with CC even though I create my art digitally and use six of Adobe's applications. The price for CC is just TOO high so I will continue to use CS6. The first year I can get CC for the special price of $19.99/mo (have CS6) or $239.88 annually for one membership. But I need two memberships because my husband and I have three computers between us. That means the fee would be $479.60 for the first year. If Adobe makes us pay the full price the second year at $49.99/mo, we would then have to pay $1199.76 for the two memberships. NOT acceptable! I just signed the petition "Adobe Systems Incorporated: Eliminate the mandatory "creative cloud" subscription model." on Change.org. It is too expensive for individual artists & designers to stay up to date with the subscription model of software. It is truly a rip off!! $600 per year for a software subscription is very expensive. I typically only upgrade my graphics software every 2-3 years because the upgraded features are not substantial enough to warrant keeping up with every edition. I think this is very expensive especially for young designers like my son just getting out of art college with huge student loans to pay or for occasional users who want to dabble but don't use it to make their living. It's just a way for Adobe to make more money from their customers and it is mandatory. This is what we get for 20+ years of loyalty?? Thanks Debra for the link! Change.org already has over 37,000 people that have signed the petition. I sure hope that Adobe pays attention that not all customers want to join their subscription membership to use their software. I may have missed something but does this affect Photoshop Elements software? Cindy, Adobe Photoshop Elements is not part of the Creative Cloud software. So it will not effect Elements software - YET. Who knows what are Adobe's future plans. Joan, The bigger concern is that the constantly updated subscription will force you to keep your computer new as well. Many of us don't replace our computers every couple of years as it is cost prohibitive. Thanks Joan for informing us of alternatives to CC, and thanks Debra for the link to the Change.org petition. I'm heading over there as soon as my fingers can type me there! After signing, I'll help spread the word by posting the link on Facebook. This makes me so angry every time I think about it that I have to STOP thinking about it. I signed the petition although I have little hope that the giant will change its direction. Like Joan said, I will stay with my current CS6 and current computer for now, but I know the day is coming. I love my photoshop, have used it for 12 years starting out with the Limited Edition, but it is now too expensive for me to use. I'll be seeking an alternative which is what I said on my petition. BIG FAT UGH! Thank you for your excellent & thorough post on this topic. I also appreciate the links too. I also believe PSE is not affected YET. With such a price tag, almost forces one to spend more time with real PAINTING? BTW, has CS6, wow you more than the older photoshops?? Oh definately Judith (artistretreat), PS6 has some really great commands that older versions don't. I especially love the puppet warp. Between it, the older warp command, and the other transforming commands I can alter my images anyway I wish! Thank you for putting this together, Joan. You know Joan, I don't think they are.....holding us hostage I mean. When I sat back and looked at the cost of doing upgrades over the years etc. I can see that the subscription model actually saves me money in the long run and offers me the latest upgrades without having to throw out a chunk of money at one time. It also helps keep down costs by helping prevent piracy which is a huge issue for software manu's. Why is it so many are willing to spend thousands of dollars to go to exhibit at a trade show like Surtex for example, but are unwilling to work with the best tools out there and the ones they actually need to do their job? Some one on another post said they had us because it was the only thing out there to use. Well, it isn't, its just the best.....so why do we always get all up in arms when there are changes? I think this is a more cost effective way to handle my software needs as opposed to dropping large amounts of cash at once. And for the new folks just starting out in this biz, a monthly payment for them is great. Thank you for voicing your opinion about Creative Cloud subscription membership. I am glad that it works for you! However, for the majority of artists that are not making a living at licensing their art CC subscription membership is too expensive. Most artists are not purchasing the upgrade every time Adobe releases one so the cost is less than CC annual subscription. That is the same with me. I have not upgraded each time which by the way was averaging every 18 months. Thus, the annual fee of renting CC software would cost me at least double what I was paying by purchasing the updated software. By the way, the scuttlebutt making the rounds among Adobe users is that Photoshop and Illustrator are now mature products and users should not expect to see any major upgrades to the software anytime soon. The recent CC upgrades to Photoshop and Illustrator are reported to be modest. The upgrade improves already existing commands that are mainly used by photographers. I love CC and have been subscribing since it became available. I think it's very reasonably priced, even when the initial discount ran out. I love the flexibility of bring able to subscribe just for a month or two, or choose long-term subscription. I also love that you can subscribe to many of their other applications just for a month at a time (i.e. if you get a job that requires it. I think all software is moving this way and Adobe are doing well to innovate. I love that the recent upgrade just requires me to say yes, rather worry for months about whether I could afford to upgrade. Thanks Joan for the informative post. I agree with Deb that the main problem isn't the price of the subscription, at least for people earning a living from their art. Adobe software is a valuable tool that many of us use on a daily basis. Although my guess is the majority of Adobe software users are not making a living from their art. That said, the CC model seems extremely inconvenient and potentially costly above and beyond the subscription price. The problem is that the Creative Cloud is isn't really cloud-based. The main benefit of cloud-based software is that it's not dependent on the user having a particular computer or operating system. When cloud-based software is updated, users don't have to worry about updating their systems. In contrast, according to the Adobe site the CC software is only compatible with the most recent operating systems. One can assume as Adobe updates their software, the compatible operating systems will change as well. As an earlier poster pointed out, we will have to keep our computers new in order to keep up with Adobe's upgrade schedule. This could mean buying a new computer every couple of years. That's a major expense. Furthermore, as we all know, upgrading to a new computer inevitably creates compatibility issues with other installed software, scanners, printers, color calibration systems, Wacom tablets etc. Now we'll be forced to upgrade those products more frequently. Another major expense & a huge hassle! I think Adobe would do better by offering customers a choice of buying the software OR subscribing to a real cloud-based system. I'm not sure how much of an issue compatibility will be either Beverly. I have had my iMac now for 3 years, going on 4, I have updated my OS (at a pittance compared to Windows!) twice now and have not had any issues with any of my peripherals, i.e., scanners, Cintiq etc. The best thing you can do before you buy any new system is find out what you really need to run the software and hardware you use to do your job and get the best you can afford. I don't care for subscription services that lock me in for a monthly price. I will continue using CS5 because it has everything I need for now.